Have you ever dreamed about one of your books or your series becoming a movie? Dream big or go home, I say. 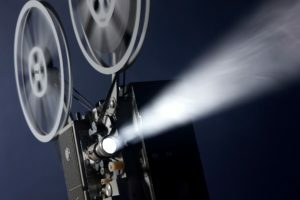 Share your thoughts and why you think your book(s) would make a good film. Or maybe you have a favorite book that you would like to see on the big or small screen. Tell us about that book and why you think it would be a great film. This entry was posted in #amwriting, #ReaderFriday, #writers, #writers. #ReaderFriday, #writerslife and tagged adapted for film, movies by Jordan Dane. Bookmark the permalink. Hands down, my western series, The Wes Crowley Saga, but probably in five 2-hour segments in a mini-series. For a single 2-hour film, my “they come here” SF, The Consensus. I’d love to see what Fx could come up with for the aliens, to see how closely they could match the form of the aliens in the book. But what about Yours, Jordan? You gotta answer the question too, right? Ha! You got me. I had movie interest on my YA debut IN THE ARMS OF STONE ANGELS. CBS Films & Miley Cyrus’s mom. But nothing came of it. I’d also like to see the kickass women of my Sweet Justice series on the big or small screen. Charlie’s Angels on steroids. I love a good Western, Harvey. Western were my first addictive reads when I was a child. And who wouldn’t want to see their own aliens brought to life? I love it. Thanks, Jordan. Actually, you can download the first book of that western saga on my website at https://harveystanbrough.com/downloads/. Just scroll down to The Rise of a Warrior. Based on reader feedback, it would be When Danger Calls, and then more of my Blackthorne, Inc. series. The Guardian Trilogy by Nora Roberts. It’s magical and surprising in many ways, with the all famous romance, and epic saving of the world: an immortal, a seer, a werewolf, a mermaid and a time traveler saving the world. There are some horror elements in it too. It’s such a fun mixture of genres. It was fun to read and I am sure fun to watch. With Nora’s notoriety, it could happen. Sounds like fun, Victoria. I forgot to think about my books and if I would nominate any of them. As to suspense: then my not yet finished The Life Upside Down series and the two books in it “Seven Broken Pieces” and “A Spy’s Daughter,” which are out for some time now. But there is also a book especially dear to my heart (not only because it was the first one: the book telling the story of my father on his search for his family that he lost in the World War II. It would be wonderful to see him come to life again on screen. Sorry for being a little sentimental. If this book ever becomes a movie, I am sure the whole project would be very emotional for me. Gosh, I love your titled. What an amazingly emotional story about your dad. You must love him very much. Thanks for adding to yoir comments. Lovely. I’ve processed death & grief through my writing many times. I’m still dealing with issues but writing helps. Sounds like you’re the same way. Thanks for sharing. I love that title too. You have a gift. And the answer is: my historical novel NEW YORK 1609. Of course ;-). Did anyone else see THE NEW WORLD starring Colin Farrell (2005)? It was a beautifully filmed period film about Jamestown, Pocahontas, and Capt. John Smith (Farrell). Something like that, although an 8-part miniseries on Netflix could also work. If done right, it would put Netflix’s FRONTIER to shame. My story is *way* more interesting. I mean, the birth of the world’s first megacity? The legendary “purchase” of Manhattan for “beads and baubles”? Talk about The Art of the Deal! You can’t make this stuff up. I got a nibble from a film rights agent in Hollywood that fizzled, but I’m still hopeful. And being an Indie means I own all the underlying rights, including for adaptation. It’s just a matter of time. I love that period in NYC. It would be magical to imagine early New York. Wow. I have a great deal of respect for historical fiction writers, Harald. It’s a labor of love, combining two passions. Keep believing in the dream. I have no affiliation with these guys but thought readers of your blog might find this new services interesting – https://taleflick.com/ supposedly they make your novel idea accessible to content providers for the movies. A part of me is leery – what is to prevent someone from taking your story? But then they can do that by just buying your book, I guess. Anyway, thought others might be interested. Interesting but I’m leery too, Maggie. They could be legit & only looking for a cut. Best to be cautious. Anything online makes me worried about international exploitation of intellectual property copyrights. I drilled down into the taleflick link & the site has the feel of ACX for audio, like an independent author might explore. Thanks for posting it, Maggie. That TaleFlick site is really interesting. Thanks for that link Maggie! Back in 2009 my second novel 65 BELOW got movie interest but tragically the whole deal fell apart when my agent unexepectedly passed away. I didn’t learn of her passing for several months and by then the deal was water under the bridge. Butch and Moondance by Marks Nester which describes the adventures of two women who form an unusual friendship and make their way through the Wild West, meeting with iconic characters (both historical figures and from many Western movies).